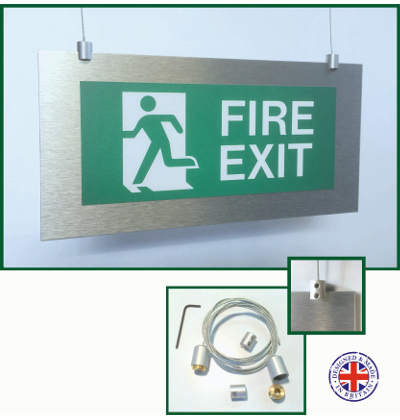 A hanging brushed silver finish (aluminium composite) Fire Exit Sign complete with hanging clamps, stainless steel cable and ceiling fixings with BS Standard legend. 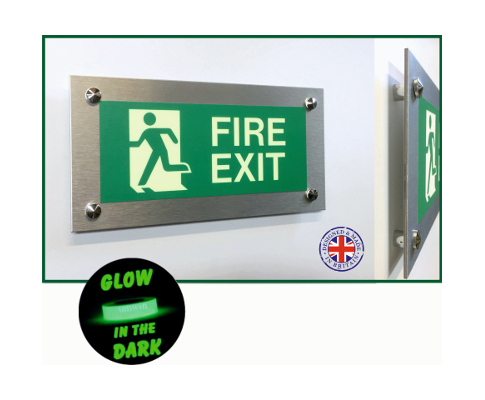 These can be either single or double sided legends. 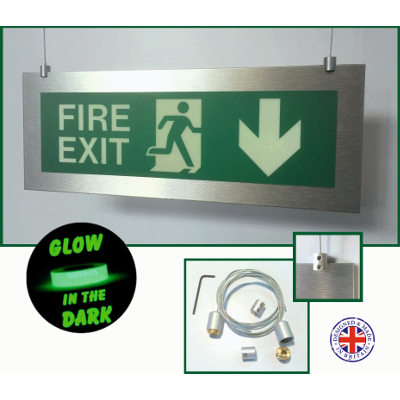 A hanging photoluminescent brushed silver finish (aluminium composite) Fire Exit Sign, complete with hanging clamps, stainless steel cable and ceiling fixings with BS Standard legend. 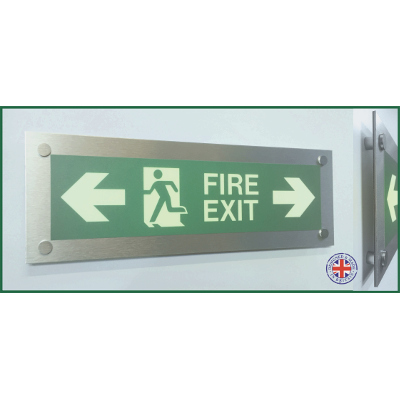 These can be either single or double sided legends. 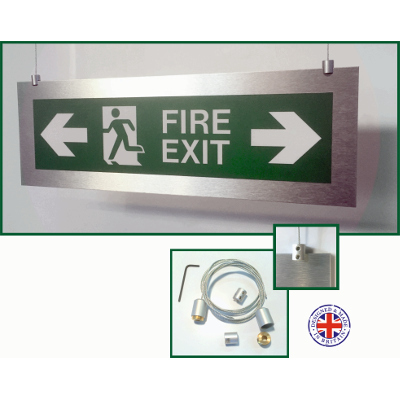 A hanging brushed silver finish (aluminium composite) Fire Exit Sign, complete with hanging clamps, stainless steel cable and ceiling fixings with BS Standard legend. 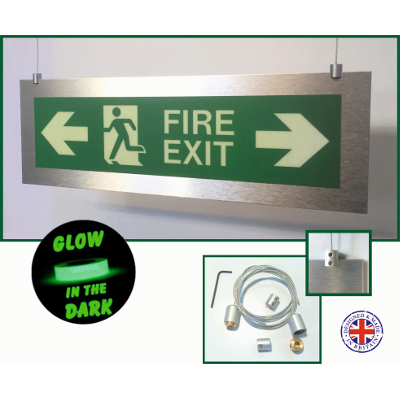 A hanging Photoluminescent brushed silver finish (aluminium composite) Fire Exit Sign, complete with hanging clamps, stainless steel cable and ceiling fixings with BS Standard legend. 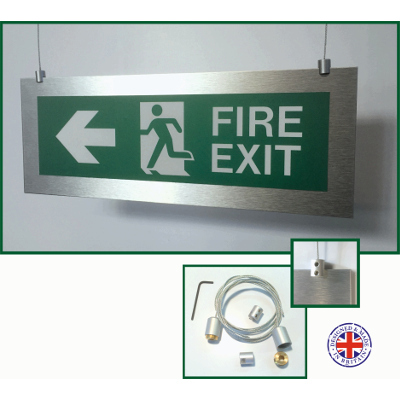 A wall mounted brushed silver finish (aluminium composite) Fire Exit sign, complete with brushed stand off wall spacers, screws and brushed coverhead caps, with BS standard legend. 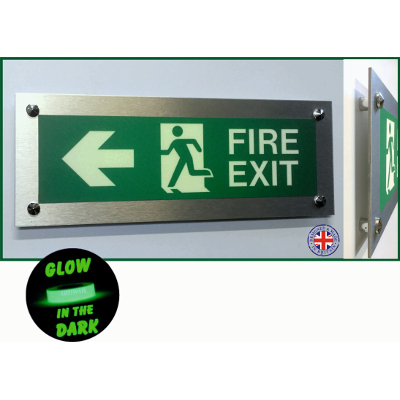 Please click "Buy Now" to use drop down menu for arrow direction. 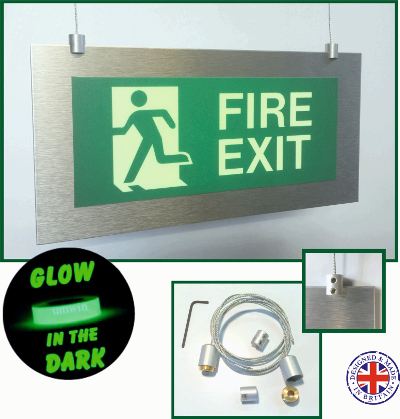 A photoluminescent wall mounted brushed silver finish (aluminium composite) fire exit sign, complete with brushed stand off wall spacers, screws and brushed coverhead caps, with BS legend. 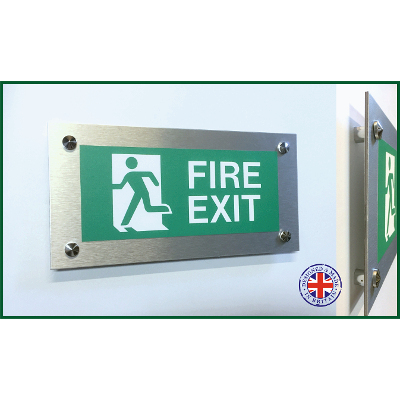 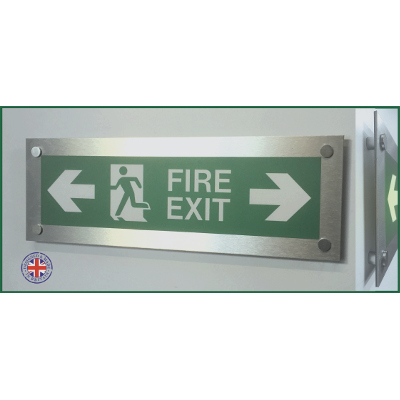 A hanging brushed silver finish (aluminium composite) Fire Exit Double arrow sign, complete with ceiling fixings. 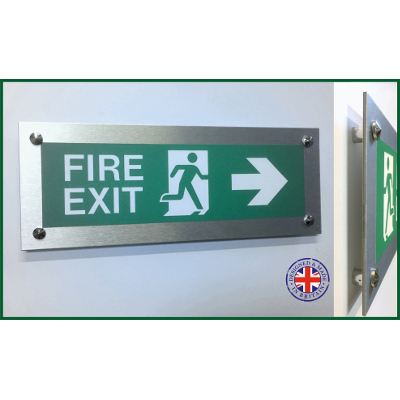 A wall mounted brushed silver finish (aluminium composite) Fire Exit Double arrow sign, complete with brushed spacers and coverhead screws.